Confession: We eat out dinner, about 3 times a week. Eeek! I know. After soccer practice, it's always a must! I have to get these kids fed quick, and myself too! We love stopping at the neighborhood Chick-fil-A, which is right on our way home. And while I usually love their Cobb salad or their Spicy Chick-fil-a sandwich, I am thrilled that they have introduced new items such as the Grilled Chicken Sandwich (shown below). The chicken is marinated with sea salt, lemon, garlic and savory herbs. And by itself, the Grilled Chicken Sandwich is only 320 calories! On top of that, there are now grilled nuggets for the kids meals. 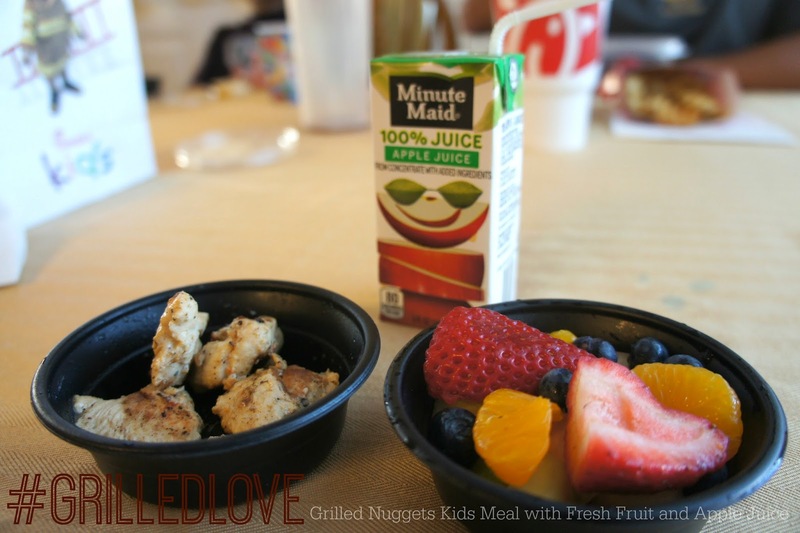 This kids meal below of grilled nuggets, a fruit cup and apple juice is only 240 calories! My kids loved the grilled nuggets, they have that smoky, real backyard fajita flavor. And while I am not opposed to a fast-food run every so often, it's nice knowing that there are some grilled options for families who are trying their best to get a good, fast meal on a school night! It doesn't hurt knowing that the grilled chicken is 100% pure breast meat and contains no fillers, hormones or antibiotics! Wouldn't you love to try the new grilled items? I've got a giveaway for you! 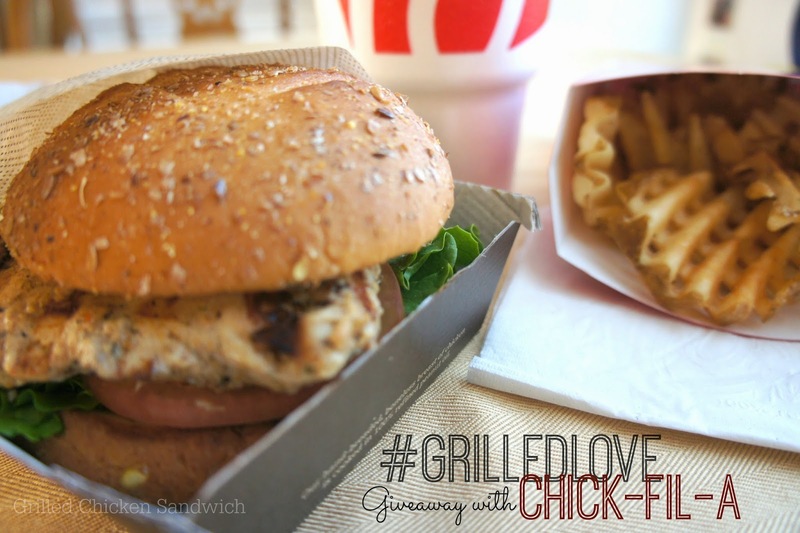 Enter below to win a set of (4) Chick-Fil-A "Free Item Each Month" cards for May, June, July. There will be 3 winners!